If you have been experiencing some chaos or unexpected changes to your plans, these last few days then you are not alone. The Full Moon tomorrow does bring some uncertainty and is meant to wake us up. This happens when we get too comfortable and expect things to run like clockwork. For example I mixed up my appointments on Monday and was calling the wrong person at the right time. Luckily my clients do have a sense of humour and we got it straightened. Today I was heading to my office when I realised I did not have the key! Luckily I realised this almost immediately so I could run back to the taxi and he took me home. I found the keys which was tucked into my other handbag and found a £20 note which I thought was convenient as I had to pay the taxi and was running out of cash. I got into the taxi and he started to pull away but then stopped. He said, “You’ve dropped your money on the path” and yes, he was right! I dropped my £20 note on the garden path. He said it was strange as he caught it in the corner of his eye. We laughed about it and he said “well you are not having a great morning are you? I sat there and thought to myself, actually I am. If I had realised I didn’t have the key when I got to the door, then I would have had to wait about 10mins for another one, by this time my first client would have arrived. It is nothing worse than standing outside waiting in the cold. I would have lost my £20 and paid £15 for my taxi which would have meant a loss of £45 BUT something made the taxi driver stop. Later when I was sat having lunch, I was proud of myself. Despite being all that, I did a darn good psychic reading for someone with everything spot on. It was being calm in the storm that helped me through this. I also had to laugh as I kept finding feathers all day – on the path where the £20 was, the lane into the office when I got back and then one flew on to my feet as I was walking home. I could have been angry, frustrated and totally annoyed that I forced to waste £15 but then it made me want to walk home as I felt I had spent too much on taxis today. I had a brilliant walk, listened to some lovely music and felt great afterwards. Today helped me realise that I was a lot more centred and calm despite the challenging day. I have always had anxiety and feel overwhelmed but today showed me something has shifted within me. Finding calm in the chaos is going to be the theme for us this next two weeks because expect agendas to change, forgetfulness and everything turned upside down. There is method in the madness and you will see the reasons why. The Moon being in Taurus means it influences our desire to be safe, secure and resist change. The Moon meanwhile is all about change, transformation and releasing. This does create a push and pull feeling within us. How we deal with this determines how we progress in our path. This is a positive cycle as it helps us change our mind set, look at things differently and also open our minds to new ideas. Secrets and desires – all those hidden away in our spiritual closet starts to get impatient. What are your secrets and why do they remain so? What do you truly desire? When is the right time to pursue them? Inner growth and the need to face our deepest emotions will be required this Full Moon. We are being asked to face our shadows and bring light into them. The more we ignore them, the more resistance we will see in our day to day life. Work on them as you will break the cycles you have been cast into. The shadows puts us into the victim, aggressor or rescuer roles. It is very tiring and draining to say the least! As Venus is in Retrograde, it is time to review your relationships. This is not only for love but also extends to family and even friends. We will look at what is working and what is not. There is some excitement in this area though as many of us will renew our feelings for partners and there may even be some good news for those seeking love. Use the energy of the Full Moon to manifest your relationships – put on your wishlist who you want to meet and how you want to feel. Do your moon ritual before Friday, Oct 25th! For those in a relationship – your self-worth will be in question. This is not a bad thing. It give you an opportunity to review and open up a conversation that needed to happen. If you have been experiencing a stalemate situation then expect the Universe energy to push you into making a decision or having to react to decisions made for you. Uranus will shake things up for us but it will leave us with the crud that we need to release. There will be some unexpected changes to the plan, opportunities that may come out of the blue. There will also be people entering your life this next two weeks. Yes it sounds hectic and challenging but just stay CALM. It will be OKAY! There will be discussions about money. If you have been rather careless about money or disorganised then this Full Moon will teach you to change your ways. We are being asked to look at building our finances and the long term. Be open to opportunities that fall into your hands, which may not feel like one at first. Do your research and try to get as much info rmation as possible before committing. This is also a good time to be close to water if you can otherwise try to take a warm bath with some essential oils or some lovely scented candles. Don’t forget to do your full moon ritual tonight, tomorrow or by Friday night. Sage the house, cleanse your crystals, write your wish list and then burn them. 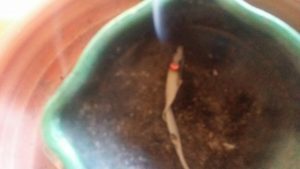 my FREE Moon Ritual Guide will walk you through the process. Please do share & leave a comment if this energy guide resonates with you. This is the moment to put pen to paper. Write down your ideas and thoughts. 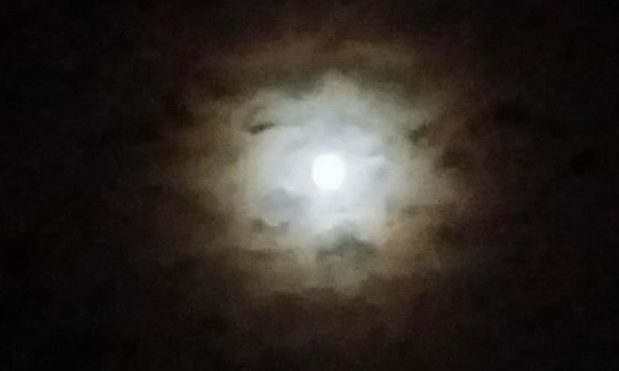 You will be inspired by this beautiful full moon to get things done. Most of us may have been “led” of been a “follower” in our own lives these last couple of months. Time has arrived for you to take charge and make things happen. Working towards your long term goals and planning the future. Don’t feel intimidated by this. The very thought of committing to a “future” may feel immense pressure to “what if I make a mistake”. Just remember it is groundwork in the bigger scheme of things. Imagine having a treasure map and you have a vague idea of where to look but not entire sure of what. Isn’t that a head start to finding the future you want? Use this energy boost and creative spark to set yourself on a new adventure in this thing called LIFE! The Sun is in Virgo while the Moon is in Pisces. This means you will be encouraged to have order, take charge of your immediate concerns and visualise your future now. Pisces helps us see beyond our problems and to rise above. Virgo is far more practical and makes use of all tools and abilities. Like the worker bee and ant, it gets the job done. Pisces can be selfless and sometimes run around in pointless circles trying to get things done. Balance has to be struck for efficiency and purpose. Health concerns will take centre stage right now and there is a sense of frustration in the form of source. So if you are looking to the root of the problem then make sure you aren’t just medicating to suppress the symptoms and get professional advice. Don’t let little setbacks make you feel down but make you more determined to get answers. Virgos and Pisces people will feel this full moon the most and will deal with some significant personal issues. Light will be thrown on to relationships and truths that you have been trying to avoid. This is all in balance with the good stuff – personal freedom and drive to push forward. 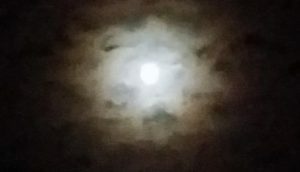 Full Moons are all about energy and life purpose alignment. We have been through the mill with the endless retrogrades and eclipses, pushed to the max and wondering where which way to turn. In this time, the keyword has been “trust” and “hope” that the universe knows better. That things will get better and this was all meant to be. We have been dealing with old issues that have come back, forcing us to deal with it whether we liked it or not. I should know, I had two issues crop up one where a root canal I did in 2008 fail which then led to surgery to extract the roots and then a month ago, one of my fillings fell out. I remember in 2000 when I was watching football on tv with my ex in Malaysia, when the tooth broke when bit into a pizza with dried chilli flakes. Part of the tooth fell out and the dentist patched up with loads of filling. Eight years later I bit into a slice of pizza, about 15 mins before I was being picked up for an event with Fright Nights in Gloucestershire when I bit into what I thought was a big stone. Turns out it was part of my filling. Imagine my stress and anxiety as I was about to head out to work! Luckily my husband rushed out to get some temporary filling and I managed to work without much fuss. My dentist replaced the filling with a more secure but temporary filling. There isn’t much they can do and it would be a case of letting nature take its course. I just thought it was so ironic to have pizza play such a big role in the life of one teeth! A small but significant show of the cycle of life. So yes, we have been dealing with a lot this year and for many of us, the cogs have stayed in one place for a long time. Time moved very slowly and frustration has set in. Not to worry as the energy is moving now. It is important to remember that when things are not working out, and if you have tried everything then REST. Always try to understand what the message is being sent to you. There is always a reason for things happening the way they are. Are you being asked to change the way you do things, rest or accept help? Things will pick up pace and you will be rushing around but bear in mind that it has to be “efficient” and not a wasted effort. Plan and analyse your moves now. This will help you in the long run. Just remember all the difficult stuff has made a stronger you! The Full Moon arrives August 26 at 12:56pm in the UK but click here to search for where you live. This is a great time to do my full moon ritual. 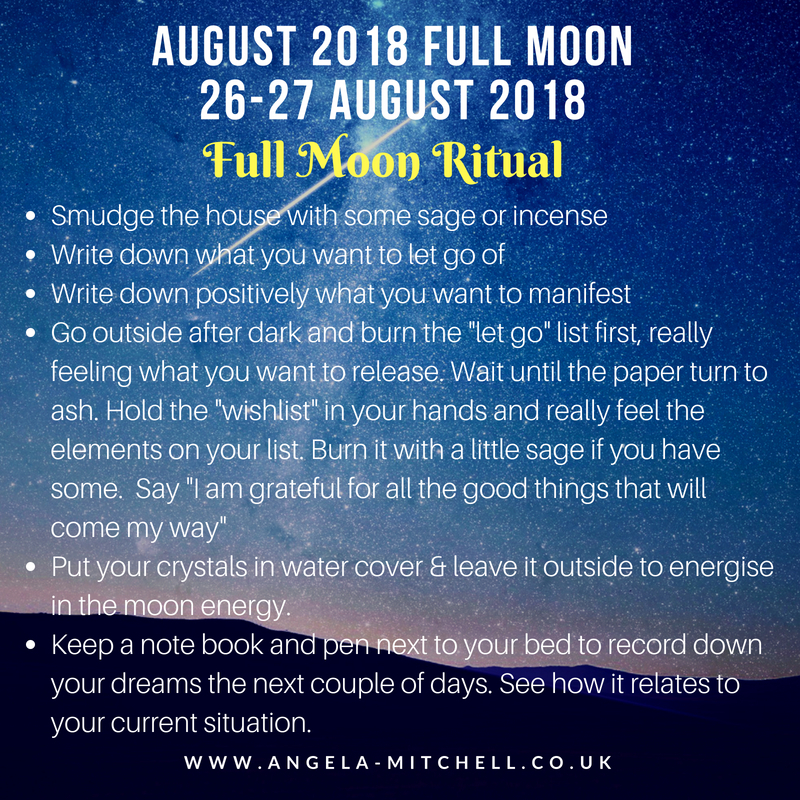 Here is a summary of what to do but if you want detailed instructions then read my FREE Moon ritual guide. 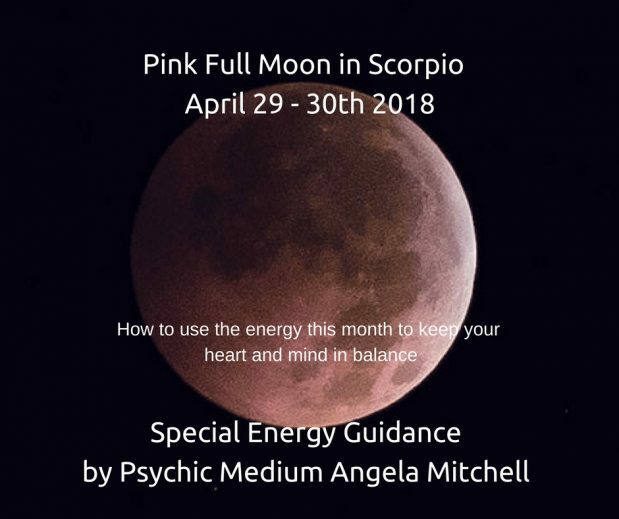 Tomorrow’s Pink Full Moon is in Scorpio which feels like a very deep cleansing and transformative time for all of us. The cycle from the last New Moon amplified by the potent energy of the Mercury Retrograde was crazy to say the least. Vivid almost prophetic dreams, emotional and many of us were blindsided by unexpected issues. I won’t be surprised if you have had dreams that involves water the sign of communication but also emotions. Our emotions affect how we communicate or interpret messages from and to people. Our communication can also impact on our emotions therefore these are the themes you have to work with the next three months. Try to listen more, to see the body language, resist from being too sharp with your words and don’t take things to heart if the delivery of a message is hurtful. Look past it and listen to what is being said not how. This will benefit you in the long run. Full Moons are great at filtering out the clutter out of our lives and forces us to face the “let go” aspects of our personality, habits or even relationships. For example if someone you have always tolerated but kept at arm’s length starts featuring in your life a week or two before a Full Moon things get a little heated, then know it’s for the best. You will be given a choice – tolerate this person and maybe see how they have changed, and how this relationship has evolved OR you may just lose patience and this person will leave your life, slamming the door behind them. You will obviously feel angry and uncomfortable with this at first, but trust that this had to happen. 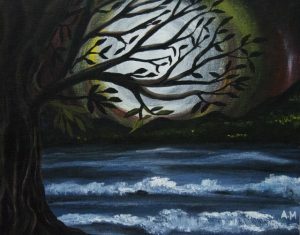 During a Scorpio Full Moon, it will “sting” at first but then things will get better. So keep a watch on things you have had to deal with a week before and the week after the full moon. Be open to change and transformation. The less resistance you give the universe at this time, the less painful it will be. The more you fight it, the harder it will be. Surrender and breathe! The Scorpion symbolizes Scorpio, and that is no accident. Much like the Scorpion would rather kill itself than be killed, those born under this sign are in ultimate control of their destiny. It is life on the Scorpion’s terms, too, since these folks promote their agenda (they are quite the executives) and see to it that things go forward. Others may find this overbearing (it can be) and even self-destructive, but that’s the beauty of the Scorpio: they have tremendous regenerative powers, much like the literal Scorpion can lose its tail and promptly grow a new one. Fearless Scorpios rarely lose; they just keep on going, since they are stubborn and determined to succeed (this Scorpio trait is in keeping with the Fixed Quality assigned to this sign). Scorpios work as hard as they do so they can someday sit back and feel satisfied with themselves. These folks are intense, passionate and filled with desire. They’re also complex and secretive, so don’t expect to get much out of them, lest they become suspicious and exit stage left. It’s best not to bet against Scorpios, either, since these folks are surprisingly resourceful. What does this mean for us? A full moon in Scorpio is formative for the next five months of this year. What you do this time with this energy can either be a great boost or a step backwards. Like Scorpios where things are serious, concrete and black & white, you will need to face up to things and deal with it, no fluffing around, no more excuses. The energy wants to get to the core of problems, tear away the plaster and fix things. You can also be led into temptation – to spend more, to feel invincible or led by your ego to the point of being silly. Learn to cut your cords with people who create drama in your life or keep leading you to self-destruct. The ones who know how to trigger you to react but stand back in the shadows while you get the blame. Open your eyes and ears because this full moon is a very personal one. Like a scorpion, you will see something big end in your life. It could be the end of a marriage, a pregnancy or a job. We may feel it’s the end of the world because all of this means a lot to us. Just like the scorpion that is able to regenerate its own tail after its injured or fallen off, there is hope for a new opportunity. Please don’t be disheartened and keep the faith because there is a new day approaching. You will find that many of the themes popping up in your dreams is actually emotions or day to day things that have been under the surface which you have been unwilling to face. It has to be acknowledged and cleared at some point. You have underlying stress and physical pain relating to this so please release them now and you will feel better. The “pink” full moon encourages us to love in all its forms, starting with yourself. Fall in love with yourself and be in love. Some of us will be facing health issues. Self-care is very important and you are being forced to look after yourselves and get to the source of the problems. If you have been self-medicating or have “tried” to cure yourself naturally then please understand that this is masking the problem. My grandmother was a medicine woman and her knowledge came from generations of herbalist and Ayurvedic experts in India. My mother always had a herb or food that helped with sickness but we knew when it was time for modern medicine. There are things that alternative medicines can help with and other more serious things that need an MRI or an operation to solve. If you have been in denial then please look into this now before things get serious. We are also being pushed to look after our emotional health. Self-care is about your physical body but also your emotional layer. Be kind to yourself and be in love with yourself. Give yourself some time to process things before jumping into action, take time off for yourself and don’t be so hard on yourself. Want to know what blocks you need to clear or how the next six months will feel like? 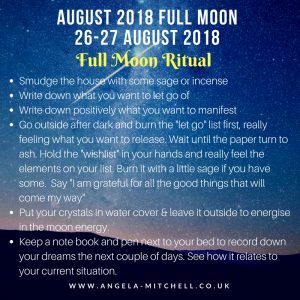 Why not book in a reading with Angela? We start the New Year with a brand new Full Moon, in fact it will be the first of two Full Moons this month, the first being on Jan 2nd and the other on Jan 31st. In between this, we will have the New Moon on Jan 17 where everything gets reset. These are Super moons and include a lunar eclipse. The combination of all this major planetary activity will bring some very strong energy which will be like a tsunami, unblocking major deals, negotiations and movement in decisions. We will find some important announcement to do with Europe and Asia in and around February to March time. In fact I feel one of this will be a deal breaker of sorts. It will be interesting to see how it will affect world politics in general and how the community will react. The Wolf Moon in Cancer, which will appear in the UK at 2.14am (GMT/BST) on January 2nd brings us closer to our community. Just like the wolves, we have to work in a pack, communicate and understand our purpose. So do not feel like you have to isolate yourself to be able to succeed. In fact this is the time to share, explore and network. January is the time to set realistic goals but rather than aim for the ones that are physical or play on our bad habits or make us feel bad, put together ideas that can help you achieve. For example, looking at your business, identify the areas that need improvement and say that you struggle with keeping your accounts. Perhaps your goal for the year is to do your own accounts and you can achieve this through a course or a workshop. This goal is empowering and even if you don’t manage to grasp it well enough to do your own accounts, you would have learned something along the way. It is important to note that by March, we will all be wondering where the time has gone, as things are moving fast. If you have been distressed by how things are moving, people holding contracts or decisions back, then stop fretting and be prepared as the wheels are already in motion. You will need your “tribe” around you so join up with any interest groups, likeminded people or networking sites as the more you interact as we will need to be part of something to get a few things off the ground. For many of us struggling emotionally or wanting to develop spiritually, learning to speak our truth will be important. If you constantly feel choked up or unable to voice out what you really feel, with throat clearing and issues around that area that is not medically related, this is a sign that your throat chakra is struggling to cope. January’s full moons want you to “listen” before you act. If you are called on by a friend who is in need, just be there for them and listen. Don’t judge or try to fix things, just lend them your ear. You will avoid conflict and misunderstandings this way. Some of us may be holding on to intense energy so your words may be misconstrued as being judgemental or overbearing. Nothing to worry about, just take a step back and be a friend. Going back to Jan 1st, this is an important day for many reasons. However please take note that 2018 is a master number year as it totals up to “11” so Jan 1st literally 1.1.11 which is a super master number. I know many of us will be waking up with a huge hangover or just plain tired from staying up late and dealing with the dishes and kids, however it is important to start the year on the right foot. A master number day is a powerful day as it a super manifesting day. Keep your thoughts positive and focus on the things that you want to manifest. Be realistic about what you want too. Asking the universe to deliver 10million is a big ask as it may not be in your soul’s blueprint and they also can foresee the difficulties you may encounter with such a big fortune all at once. How many lottery winners have we seen happy? Many of those who win do seem to have fractured lives, get taken advantage of, fall out with each other or lose everything eventually. Some people are meant to have that much and know how to deal with it and others who think money is the answer to everything, will soon find out that it isn’t. The trick to manifesting is to put down things that can definitely improve your life, things that you can achieve, and don’t forget feelings/emotions. For example “I want to feel happy about my job”. How this will manifest will be different for each individual. For one, it is the line manager who is causing unhappiness and perhaps he or she will be forced to leave or gets promoted and a kinder more “people person” takes over. This change of guards will allow for a happier and cohesive department. Or you may see a fantastic role and go for it, leading you to a great team and work life balance. I feel that many of you will feel the “reset” button that the new moon will bring on the 17th of January. By this time you will have seen a few things fall into place but also recognise some of the emotional baggage you have been carrying around, and willing to finally let go. This is important as the more you let go, the better it will be to accelerate your soul’s purpose come Jan 31st when the Blue Moon comes along to sweep everything forward. Keep an eye on who comes into your lives between January and end of February. New people, old friends or even relatives. Ask yourself the reasons why they appearing in your life now, what are their motives, how can they help you now and what you can learn from them. If it is someone from the past who you had an issue with or vice versa, is forgiveness or clearing the communication lines, the lesson? January’s Full Moons are about love, manifesting but also the healer of old wounds. So be open to forgive and patch things up with people. The more you let it fester, the harder it will get for you to let go of the pain. Don’t let your ego and pride hold you back. Hopefully the skies will be clear as the first full moon of 2018 is expected to be the biggest and most vibrant. This will spark off healing, transformation and show you where you need “growth” in your life. As far as the rest of the year goes, I do feel that the royal wedding in the UK will bring some positive energy to break up the dark clouds of Brexit. I sense Diana’s influence at play as although she loved her boys equally, she always had a soft spot for Harry. She somehow knew even at the early days, that he was a lot more impulsive, emotional and nonconventional than his brother. She also knew that he hurt easily. I sensed her presence around Harry and Megan during the engagement announcement in the gardens. She feels that Megan will go where she tried to, in a calmer and less emotional manner. In saying this I do feel a touch of sadness to their day or the days after. I feel there will be some sort of an event which will take place to overshadow their day. Now I also feel that the world leaders have to pay attention to ISIS and their agenda. What do they want really? What are their demands? I feel this needs to be]]]]]]]changing sharply and they will achieve the funding they require from a super power. There will be a major earthquake that will be on the plates along some American states but also affect those along the same lines. I feels like the time when the season changes either winter to spring or summer to autumn. Although we will be reacting to this negatively as this is the trend of the world now, until the next shift happens, we as people will be more resilient and be able to pick ourselves up and go on. In summary the theme for 2018 is transformation, manifesting and finding your tribe. This is a year to come together as people and as a community. Keep your thoughts positive, Law of Attraction techniques will serve you well. I am a lucid dreamer and I also receive messages through my dreams. I often find myself in very immersive dreams speaking to my guides or father, waking up with guidance that I share here or personal ones which give me clarity on a situation. I keep a dream journal next to my bed and I write down what I remember. It has been very useful as very often it makes absolute sense either for the day or even weeks later. Writing it down means you can track patterns emerging, feedback on outcome and understand how each message resonates with your life. It builds trust between yourself and your subconscious as well as your Spirit helpers. This morning I woke up with the words ” Force Majeure” imprinted on my mind. I wrote it down but it seems to wash heavily over my physical and spiritual body. So I have been sitting here today reflecting on this message and what it means for me and, perhaps for us in general. It resonated firstly with what has happened in the last two days at home. On Monday the vacuum cleaned died, which wasn’t a huge surprise as it was on its last legs as it were. Although it is an expense we don’t need right now, it also means we will be getting a new, more dynamic cleaner that wasn’t such a chore to lug around. Coincidentally, my new laptop had a serious systems failure which I found out was due to an Windows update that encrypted some files when the system was unable to (or says my IT expert husband). It was an expense laptop so I was very upset to think that it was completely fried and I would need to buy a new one. I was panicking inside but I decided not to ruin dinner time and went to play badminton with friends. I had a great time but I was worried. I got my husband to take a look at the laptop afterwards and with a little research, he managed to fix the problem without losing any of my files or data. I went to bed thinking of this and wondering if there was some sort of energy flare that is hitting us hard, causing electrical faults to come to light. The message this morning was related to my thoughts and general question to the universe. The answer was Force Majeure, meaning there is a superior force at work. A burst of energy surrounding earth can cause disruptions especially close to the Full Moon. People often find electrical items breaking down or trouble with cars or machinery coming to light at this time. 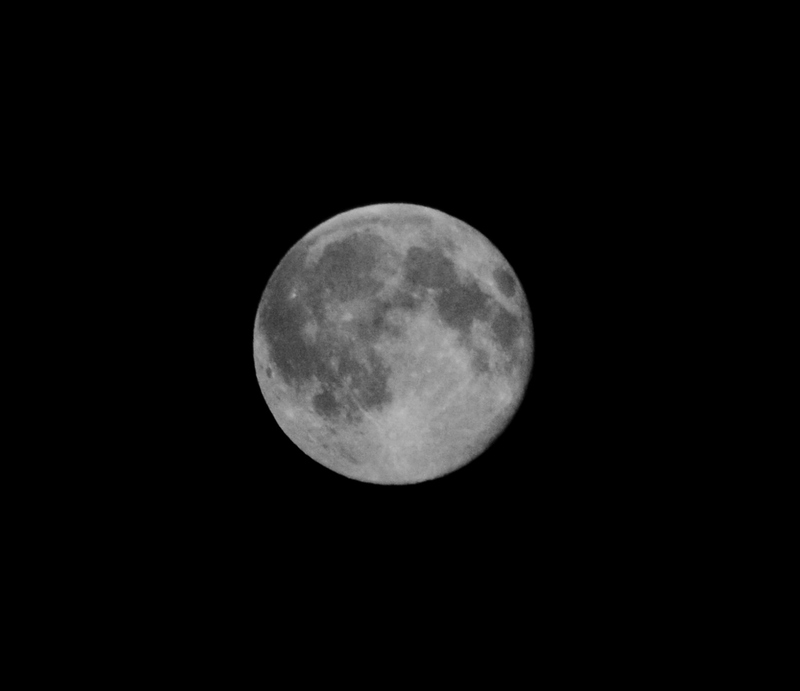 Look at the photo of the moon I took last night at 8pm. There was an orange ring surrounding the moon, which I thought looked like the flame of the candle. This to me also strongly reminded me of Moon Energy which is a painting I created intuitively a few years ago after a deep meditation. This weekend’s full moon is called the “Frost Full Moon” or sometimes the “Beaver Moon” which is dedicated to water and the coming of winter. Most of us have been questioning our own feelings – good and bad, our sense of direction and even relationships have been under scrutiny. At the heart of everything, is our relationship with ourselves and how we treat ourselves will reflect on all other aspects of our lives. The Frost Moon digs deeper on this subject and brings up a very emotional theme, from last month’s New Moon. Most of us have been running on auto pilot, not acknowledging our feelings or wants, just letting life go past us. Our soul purpose/mission will not allow that, in fact intervention is necessary to put us on our right course again. So ask yourself, what are you trying to suppress? What are you failing to acknowledge? Are you failing to deal with your grief, let go of something or someone? Sit and reflect and the answers will come to you. Be true to yourself and see it for what it is. You may be feeling like you need to cry recently and you know what? Sometimes tears can really release pent up emotions and give you clarity. As water based souls, full moons can be dehydrating so ensure you increase your intake of water. Saturday’s full moon falls on a number “4” day which relates to practicality but also focus is emphasised on the home life which relates to the emotional theme that surrounds this moon. You are being asked to be practical and organised when dealing with things at home. Home life will take priority so if things change and you end up not doing what you were supposed to be doing, then just go with the flow. No use fighting something you have no control over. The full moon is in Taurus this month which explains why we are all feeling a little tender and sensitive. Venus is also an influence at this time so romantic feelings and looking at the past with rose tinted glasses will be something we will be doing a lot of. Your subconscious will try to make you look at relationships clearly and for those who are sensitive, you will become acutely aware of where the negative energy comes from. “4” is a number of chance so be prepared for things out of your control. Fighting it can only lead to frustration and resentment. This day also encourages you to create and shape your future so put your practicality and wisdom to work. It is also worth mentioning the “Force Majeure” again, as the water element popped into my mind as I am writing this. Water damage can be one of the issue we could be facing at this time. Either by natural forces of by something that has been an unknown issue but will come to light and cause some damage. If you know there is a problem around the house be proactive and not try to sweep it under the carpet, hoping it will go away. I do feel there may be problems with wind damage as well. Its not so clear to me right now but I can feel the sheer force of the wind around me. Interesting to see how it will play out. I think most of the storms around the UK at least have eased off a little so I do hope I am totally wrong as so many have suffered recently around the world. So what is the theme for this month’s full moon? Deal with your emotions, be prepared for the unexpected and start beavering away to prepare for winter. Time to get productive and balance our emotions so it doesn’t get in the way of our dreams.